What can a parent do before their child tantrums? My initial answer to this question is always the same: “fight thebattles worth winning.” This is a concept that will follow you as your children grow. Is it worth getting into it over striped leggings or solid ones for school? Probably not. Does it matter who buckles her in to the stroller? Not really, as long as she ends up buckled. I generally recommend that parents of toddlers and young 2s use brief sentences when talking to their children. Repeatedly using these “catch phrases” will help your child understand them and begin to incorporate them into their own vocabulary. For example, when taking your child out of a high chair you might say “all done.” Going forward, your child may start using these words to let you know that they are finished. When your child wants a toy that a friend is using rather than saying “share,” which really doesn’t mean much to a child at this age, try “my turn” and “your turn.” When a young child is able to express themselves and make their needs known, they are less likely to have a tantrum. Every child is different, and children have tantrums for a variety of reasons. 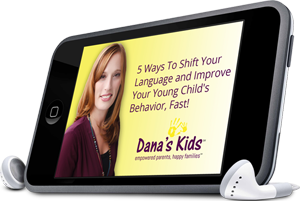 Reflecting on what sets your child off, can help you before they reach the point of tantrum. If you are having a hard time seeing a pattern, get in touch. That’s what I’m here for. Embrace your toddlers’ and 2 year olds’ natural curiosity, and use of phrases like “mine” and “by myself.” Celebrate their independence, and use language and limit setting to help them manage the world around. You can do it! This entry was posted in children's temperament, Connecting with Young Children, developmentally appropriate, reflective parenting, teachable moments, toddler independence and tagged parenting toddlers, toddler behavior, toddler independence. Bookmark the permalink.